The Speaking Roses state-of-the-art process of embossing on live petals and other organic products has been patented in order to maintain its uniqueness and protect the Speaking Roses licensee against large corporations seeking to exploit the idea and mass-produce the Speaking Roses products and methods. All in all, we hold over one hundred patents and trademarks in countries around the world. In the United States alone, we have already defended two of our patents in legal proceedings with favorable results, discouraging unauthorized and illegal copycats. 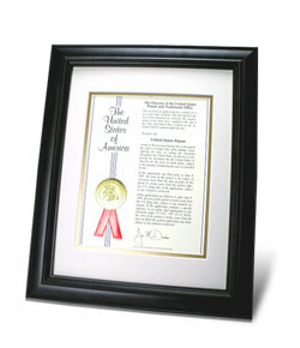 These patents provide a very secure future for all Speaking Roses license holders.